Archbishop John was born at Newport (Mon) and educated at Bassaleg Grammar School. He graduated in law from the University of Southampton from where he moved to the College of Law at Chester. He was admitted as a solicitor in 1977, specialising in criminal law and, after ordination, completed a master’s degree in Canon Law. Prior to ordination he was heavily involved in the life of the church at parochial, diocesan and provincial level. Archbishop John left the law to enter the ministry and was ordained in 1984. He served in the Diocese of Monmouth in a variety of rural, post-industrial and urban parishes, and he also served as Diocesan Schools’ Officer and Officer for Ecumenical Affairs. He was appointed Dean of Brecon in 2000, and during eight years in that role oversaw significant improvements to the fabric and liturgy of the Cathedral. 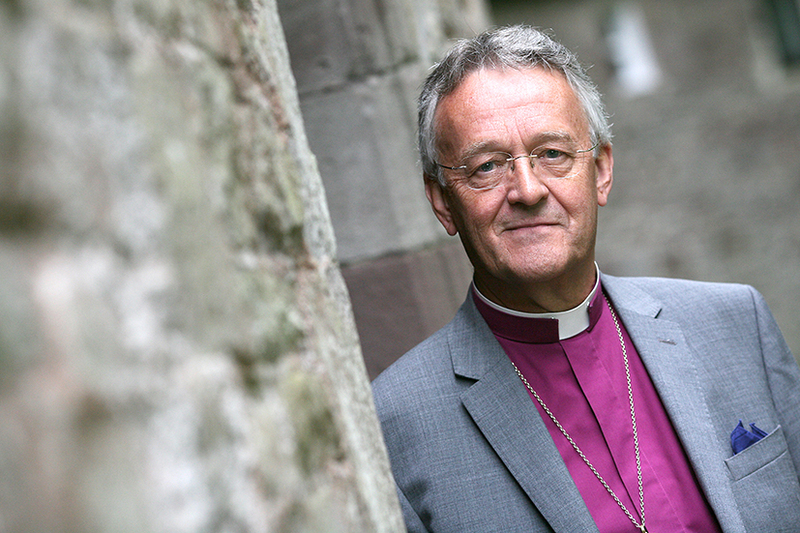 He was elected as the ninth Bishop of Swansea and Brecon in 2008. Having been the ‘lead Bishop’ for Church and Society issues, Archbishop John is profoundly interested in matters of social justice and has spoken out on a range of issues, including homelessness and housing, rural problems, organ donation, assisted dying and poverty. He has retained a keen interest in issues of crime and punishment, with a particular concern about the treatment and rehabilitation of offenders, the nature of criminality and the effects of poor social and educational standards. Having served as the chairman of the trustees of a large hospice in Newport, he also has a deep concern for the just provision of healthcare, not least for those in the final stages of life. He currently chairs the Ethical Investment Group of the Church in Wales, its International Group and the Wales National Committee of Christian Aid, and is a national trustee of Christian Aid. As a former church chorister, organist and choirmaster, Archbishop John has a passionate interest in church music being ‘done well’, whether complex musical settings or just simple hymns and songs, believing that it can do much to enhance quality, spirituality and effectiveness of many an act of worship. He also enjoys a wide variety of music, watching sport – especially cricket and rugby – playing golf very occasionally, cooking and walking. He is married to Jo, an emergency nurse practitioner, and they have two grown-up children.